Many of us have experienced positive reinforcement in our lives. Maybe your boss asked you to write a report, give a speech, or complete a project, and when you were done, she said, “Great job!” She was using positive reinforcement strategy to “set the stage” for your next assignment. The praise was the reward that made it more likely you would willingly take on the next task. Positive reinforcement is not a thing. It is a well-studied system that involves the addition of a stimulus intended to increase the likelihood that similar behavior will occur in the future in similar situations or environments. More simply put, positive reinforcement helps shape behavior under similar conditions. Positive reinforcement is used beyond the business world, and is an important tool used at home and in school for those with autism. Through social interactions, children learn to behave in ways that effectively communicate their needs and wants. 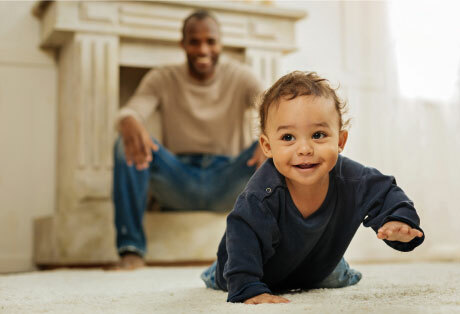 Parents can help shape desired behavior by using positive reinforcement – correctly and in a timely manner. For parents of children with autism, positive reinforcement is a key strategy. It’s very important to anticipate the child’s needs and have reinforcers ready. Here’s one example. A child with autism, who is not yet speaking, attempts to tell his mother he is hungry. He points to the shelf where there is a box of crackers. When his mother sees the child pointing, she looks at the shelf, and then at the child, and says, “Do you want a cracker? Let me get one for you.” The child’s attempt to communicate is now reinforced, and he is very likely in the future to ask for a cracker in a similar manner. However, reinforcement cuts both ways. What if, in this illustration, the mother is busy working around the house or caring for her other children, and doesn’t notice the child who is pointing or doesn’t realize it is a request for something specific? Children will respond differently. Some might withdraw if their mother doesn’t notice the pointed finger and try again later. But other children may respond with screams and throwing a toy across the room, which may result in getting the cracker. Providing the cracker reinforces the screams and throwing toys. Thankfully, one misstep does not ruin everything. Human behavior allows for second chances, so a supportive adult can create another opportunity for a child to learn to ask for things through more desirable behavior. It’s important to understand that positive reinforcement (rewards) are not the same as bribes. Bribery is trying to persuade someone to act in one’s favor (typically dishonest or undesired acts) and often has the threat of punishment attached. As we know, bribery and punishment procedures are generally not accepted, nor are these efficient and sustainable practices like positive reinforcement. People also tend to take positive reinforcement for granted, without stopping to think about the effect this activity has on behavior. It’s important to understand how it works to know why it works. There is some misconception about behavior therapies used with children with autism. The misconception is that bribery and punishment are often used as behavior change procedures. That’s not the case. Those who work with children and others with autism make exhaustive use of positive reinforcement to shape all types of behavior. For these professionals, observation and planning are critical for designing individualized programs, too. 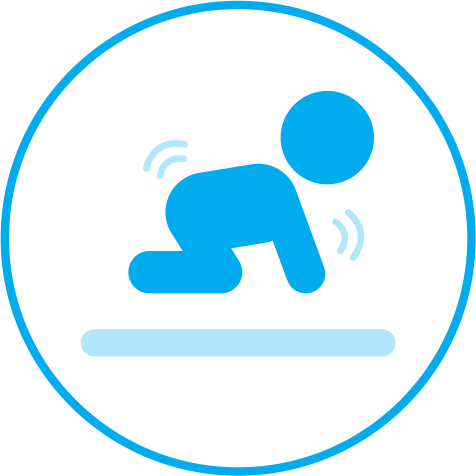 Some children need immediate feedback, while others may be fine with a short delay. Still others may need praise more frequently over a longer period of time. Positive reinforcement is the primary system we have to help children learn how to effectively communicate their needs and wants throughout their lives. This strategy can quickly help improve the child’s quality of life, as well as the lives of the other family members. Learn more about how ABA-based therapy can help shape behavior though positive reinforcement. Dr. Jeremy Wilson is a Board-Certified Behavior Analyst – Doctoral Designation (BCBA-D) who has provided applied behavior analysis (ABA)-based treatment to children and young adults with autism and other developmental disabilities since 1998. His special interests within the field applied behavior analysis are Precision Teaching, human performance thinking, organizational behavior management, and the analysis of verbal behavior. 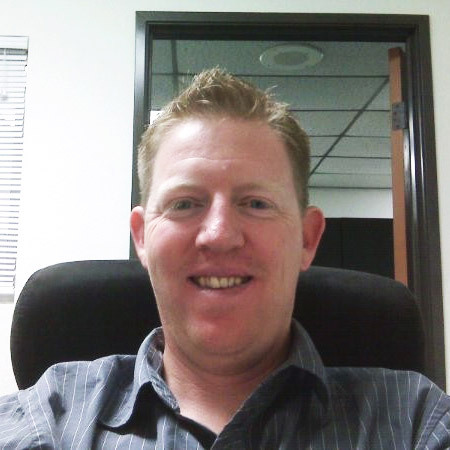 Jeremy currently serves as the Director of Process Improvement & Standardization at 360 Behavioral Health and spends his time developing and optimizing organization-wide processes and supporting various team projects. In school, the aim is the same – to help a child develop independence while providing a school-based education that facilitates independent living. Helping children whose behaviors interfere with getting the most out of their education is difficult work, especially when teachers are overwhelmed with large numbers of children in their classroom. This is when schools can use our help. When a child’s behaviors interfere with their ability to learn, it is important for the parents and the school to recognize and figure out a plan to assist learning and development. If your child has an autism eligibility, then he/she has been through a special education assessment which resulted in the development of an Individualized Educational Program or IEP. The IEP Team determined that your child requires goals and services to help them progress in the school setting. 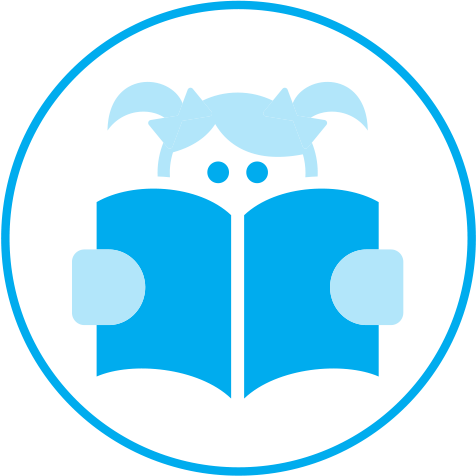 Your child’s IEP outlines how your child performs in academics (reading, writing, arithmetic) and socially. Depending on needs identified in the IEP, additional services such as speech and language, occupational therapy and a behavioral aide may be offered. 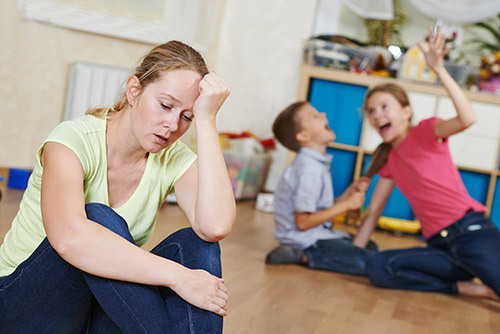 Sometimes your child may demonstrate disruptive behaviors, such as being non-compliant, having difficulty paying attention, throwing a tantrum or even running away – which interfere with their learning. Classroom structure can be challenging for children with developmental delays. Your child may not have the skills needed for independent planning, organizing, sitting, listening, initiating and following through on assignments or tests. Children, for example who have difficulty paying attention to a classroom activity might feel anxious and refuse to participate. There is a way to help! That help can be given in school by using a highly trained and qualified behavior specialist who will guide your child throughout their school day. Behavior Intervention Implementation or BII and Behavior Intervention Development or BID are services that can be offered to help them. BII services are a direct, one-to-one service provided by a trained behavior expert who collects data and has expertise in targeting problem behaviors that interfere with your child’s learning. This can be provided throughout the entire day or as identified in their IEP. 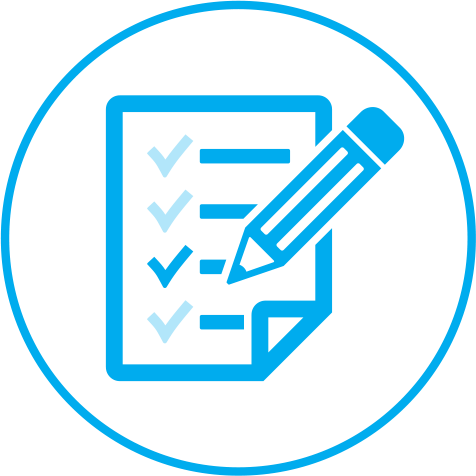 BID services provide supervision to the BII, and an assigned BID is responsible to write reports based on the data collected by the BII, dialogue with parents and attend IEP meetings. Parents HAVE a say and if they feel BII services are needed, then they should speak up and let the IEP Team know. A Behavior Intervention Plan or BIP is additional documentation that is part of your child’s IEP. 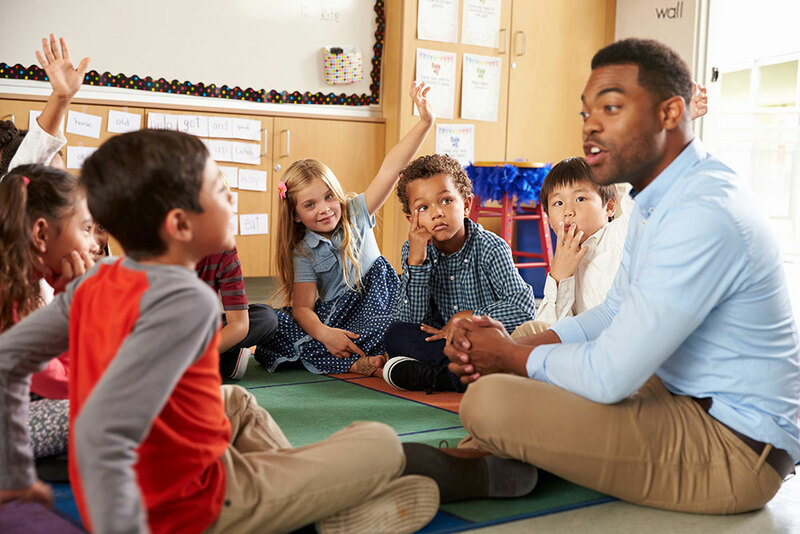 It identifies the behaviors that interfere with learning, what is missing or needed in the school environment to insure success, and a strategy to guide the teaching replacement behaviors. Ways of reinforcing the replacement behaviors are designed based on what your child responds to and can change from time to time. BII and BID services offer opportunities for your child’s long-term success in life. 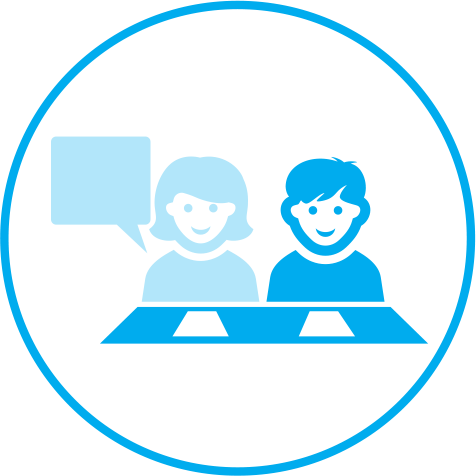 Learn more about how a school-based behavioral therapy program works. Or schedule a one-on-one consultation with one of our behavior therapy experts. 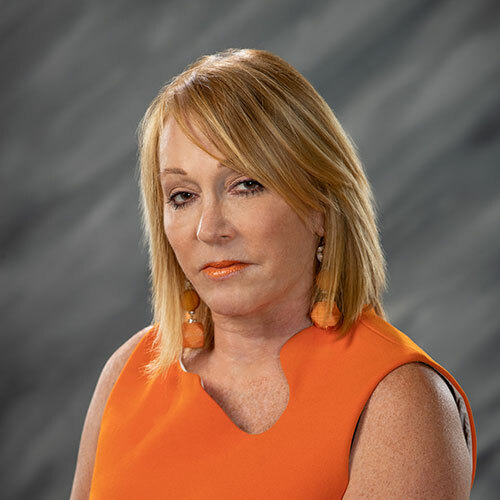 Dr. Judith S. Cohen’s background includes 33 years as a school psychologist – which includes 29 years with the Los Angeles Unified School District (LAUSD) and four years with a school system in New Jersey. After retiring from LAUSD in 2011, Dr. Cohen’s passion for children led her to a new role as an educational advocate, where she helped families in need obtain a Free and Appropriate Public Education (FAPE). Dr. Cohen currently serves as the school district coordinator for California Psychcare, a position she’s held since January 2016. Her goal is to have every child with special needs get an appropriate Individualized Educational Program (IEP) with goals and services and the appropriate educational placement aimed at helping each child grow each year. A diagnosis of autism can rock our universe, and our sense of security and freedom. Children with autism and other special needs generally are unable to communicate what they want or need and often struggle with socialization skills, so they have tantrums or engage in unsafe behaviors. Stresses mount as we seek services we need at home and at school, incorporate school meetings into our already busy schedule, juggle necessary doctor appointments and make plans for people to come into our home several times a week. It can sometimes feel like the weight of the world is on our shoulders or that our lives are spinning out of control. We often react with frustration. This is where a daily mindfulness practice can offer some respite and help lift that weight. 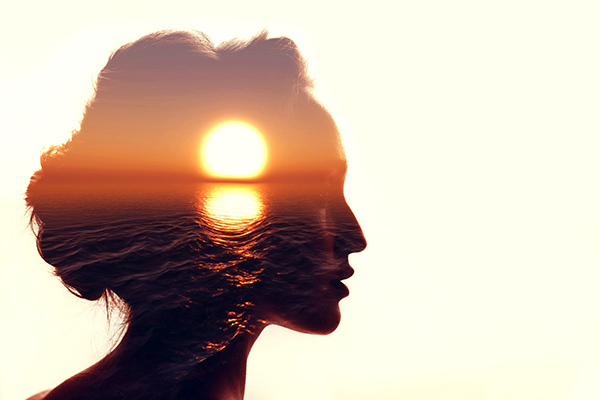 Mindfulness is a process by which we shape our view of ourselves and our lives. We do this through formal practices, like yoga and meditation, and informal practices like just being present during everyday tasks. To be mindful is essentially being aware in the present moment, on purpose, without judgment. Imagine saying, “I will be calm if my child throws a fit at Target” and then being determined to follow through. Setting our intention dramatically increases the likelihood that we’ll remain calm. But just being present is not easy; our thoughts tend to be restless and uncontrolled. We tend to make many judgments, too, about ourselves and those around us. Think of mindfulness as a camera lens: it captures just the moment without judgment or labels. It just sees. And the path to mindfulness, like any other brain training, takes practice. Just as muscles get stronger with exercise, so does the mindful mind. There are several exercises that can help us respond with calm and ease to stressful events. Here are three. For a couple of minutes, with eyes closed, bring your attention to your breath as it comes in and leaves the body, without trying to change it. Notice your breath in the expanding and contracting of the abdomen and hold your attention there. When you notice your mind wandering, kindly usher your awareness back to the breath. Think of something that happens every day more than once; something you take for granted, like opening a door. At the moment you touch the doorknob, stop for a moment and be mindful of where you are, how you feel in that moment and where the door will lead you. Instead of automatically going through daily motions, take occasional moments to stop and be aware of what you are doing and the blessings these daily movements mean in your life. Learn to open your ears to sound without being swayed by memories of or preconceived notions about music. Select a piece of music you have never heard. Close your eyes, and if you like, use a pair of headphones. Don’t think about the type of music it is, the title or the artist. Just hear it. Become absorbed in the sound. Listen to the contributions of each instrument. Then concentrate on the voice or voices. The idea is to experience listening without making judgements. This lovely quote by the renowned author Elisabeth Kübler-Ross clarifies the value of mindfulness quite beautifully – “It’s only when we truly know and understand that we have a limited time on earth – and that we have no way of knowing when our time is up – that we will begin to live each day to the fullest as if it was the only one we had.” Perhaps this “attitude of gratitude” for the everyday moments – mundane, painful, or joyful – are what allow us to appreciate even the most challenging work given to us in this life. Caroline grew up on a farm and homestead in rural Montana. She moved to Los Angeles as a pre-teen but has lived in various places throughout the United States. Caroline dreams of the expansive California desert where she finds some of her greatest inspiration. She has been a writer and teacher, worked on applied science projects with a national laboratory, owned two small businesses, and is currently a BCBA at 360 Behavioral Health / California Psychcare where she has provided ABA services for adults and children with special needs since 2015. She also teaches mindfulness classes for parents. Her passion lies in inspiring others to live with gratitude. It’s not unusual for children to be picky about food; it can be a pretty normal process as little ones develop a taste for what they prefer to eat, and what they don’t. They usually outgrow the fussiness as their palates mature. But children with developmental disabilities often adopt persistent patterns of unhealthy or very narrow preferences about food that go miles beyond typical finicky childhood eating. Narrow eating patterns can be based on types of food, including appearance, such as color and texture; how it smells; whether it’s too hot or too cold, and even where it comes from. Your child might demand animal-shaped chicken nuggets – forget about serving chicken nuggets that are not animal-shaped — and only McDonalds french fries. For the child with autism, any deviation from their preferred food routine is unacceptable. It doesn’t matter what the rest of the family is eating. 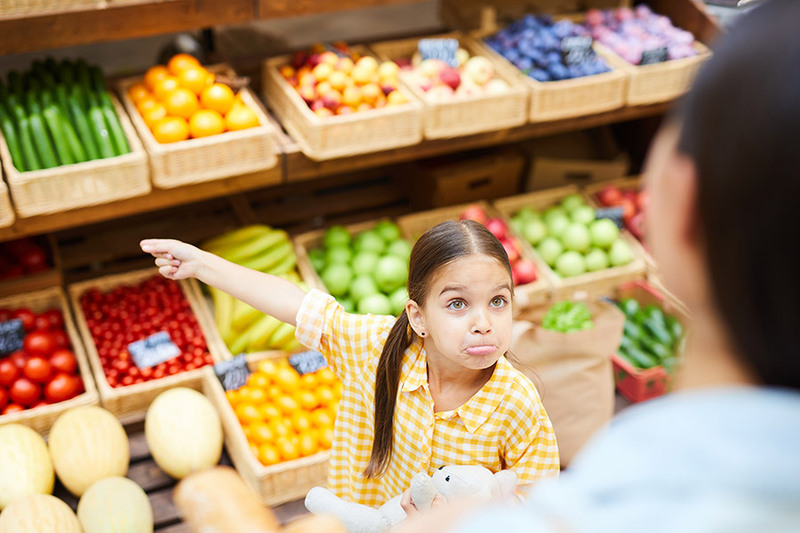 Coaxing the child to “just try it, it’s good,” can ignite a temper tantrum. 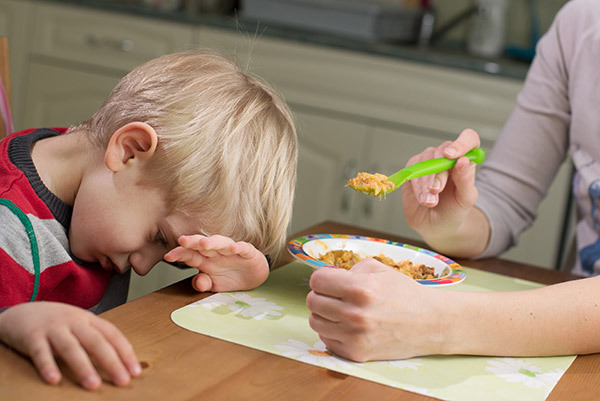 During these food battles, the child might gag or spit out the foods they don’t want to eat. Others will pack food in their cheeks squirrel-style and refuse to swallow. Parents may inadvertently reinforce their child’s narrow eating by withdrawing the food the child doesn’t want and giving them what they like. While this may result in some peace and quiet during mealtimes, it is at the expense of good nutrition and opportunities to teach better behavior. There are solutions, and understanding this cycle of inadvertent reinforcement is the first step. A behavior analyst can help. By interviewing the parents and observing the mealtime battles, the behavior analyst could design an individualized plan that, if used consistently with patience over time, may help the child overcome the food issues. For example, here’s one approach that uses a reward-based plan. This is a deliberately simplified plan of action. I serve my daughter a salad. She throws a tantrum and refuses to eat it. I leave the salad in front of her, and add a plate of chicken nuggets, which I know she likes. I tell her she can eat a nugget, but only after she takes one bite of the salad. It may take some time, but once she eats a bite of the salad, she is rewarded with her preferred food. Gradually one bite of salad, alternating with one bite of chicken, will become two bites, then three. At some point, she will eat the salad without argument, because she knows her favorite food will also be a part of the meal. Eating a greater variety of food means my daughter is learning to be flexible. And there’s less stress on the parent caregiver. Learn more about ABA-based therapies that can address food selectivity and other challenging behaviors. Jared Freilich is a Board-Certified Behavior Analyst (BCBA) who has provided applied behavior analysis (ABA)-based treatment to children and young adults with developmental disabilities since 1998. His interest in food selectivity began while in graduate school at California State University, Los Angeles, working with children with autism. Jared currently serves as the Director of the Insurance Department for California Psychcare and spends his time consulting on challenging cases, mentoring BCBA supervisees, and providing clinical quality control for treatment plans used by our behavioral health therapy teams. Helping children on the autism spectrum is complex and difficult. We work hard to give our children a voice, so they are able to have their needs met and navigate their way to as normal a life as possible. Sadly, new research recently published by the Vanderbilt Kennedy Center’s Treatment and Research Institute for Autism Spectrum Disorder has reminded us how vulnerable these children are to abuse, and how likely they are to experience it. The study tracked more than 24,000 Tennessee children from their births in 2008 through 2016. In that group, 387 were diagnosed with autism, and 17.3 percent of those children were the subject of child abuse hotline calls. The others in that age group accounted for only 7.4 percent of hotline calls, according to a Feb. 25th report published on the Disability Scoop news website. These numbers show that children with autism are more than twice as likely to be exposed to abuse than children who are not diagnosed with autism. It’s not clear what is driving the disparity in cases of potential abuse, but in his report, researcher Zachary Warren said that behavior issues and other factors associated with autism could make those on the spectrum more vulnerable. Children who are struggling with cognitive and behavior issues can be especially vulnerable to abuse and neglect, and it is tragic that some might have the additional burden dealing with mistreatment. We need to teach these children how to recognize when they are being mistreated and how to appropriately respond to it, and that includes knowing when and how to speak up and report abuse on their own behalf. 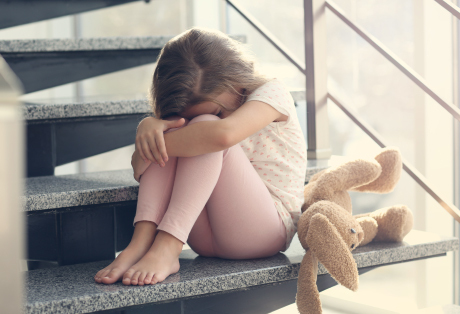 California law defines child abuse as a physical injury that was not accidental; cruelty and unjustifiable punishment; sexual abuse or exploitation; and neglect, from lack of adequate food, clothing, shelter, medical care or supervision. We urge anyone who knows of a child like this who might be an abuse victim to report it. Teachers, social workers, child care providers and health care professionals are required by state law to report their observations and suspicions, but parents, friends, relatives, neighbors, and even store cashiers and bus drivers can step forward to help. The state’s Child Protective Services division of the California Department of Social Services website says community members have an important role in protecting children from abuse and neglect. Report possible child abuse or neglect to your local police or sheriff’s department. The state’s Child Protective Services also have 24-hour emergency response phone lines staffed by social workers in every county. A list of the phone numbers in other California counties are at: http://www.cdss.ca.gov/Reporting/Report-Abuse/Child-Protective-Services/Report-Child-Abuse. 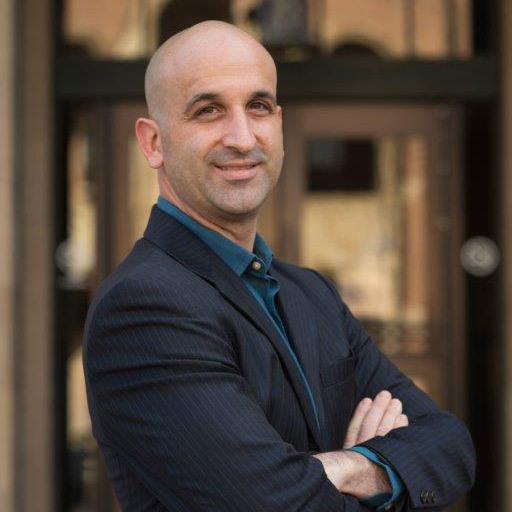 Dr. Leili Zarbakhsh is the executive director of clinical services at 360 Behavioral Health and is also the founder of California Psychcare. California Psychcare is a part of the 360 Behavioral Health family that utilizes applied behavior analysis (ABA) to provide behavioral health treatment to clients across California. 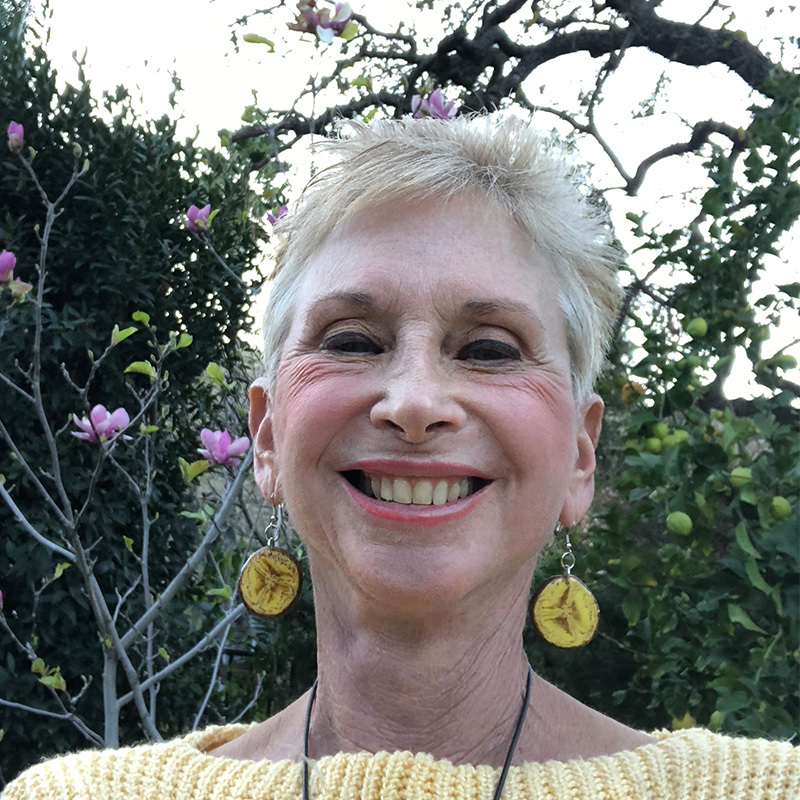 Dr. Zarbakhsh has worked in the field of psychology for more than 35 years, spending the first third of her career as a school psychologist for Los Angeles Unified School District. 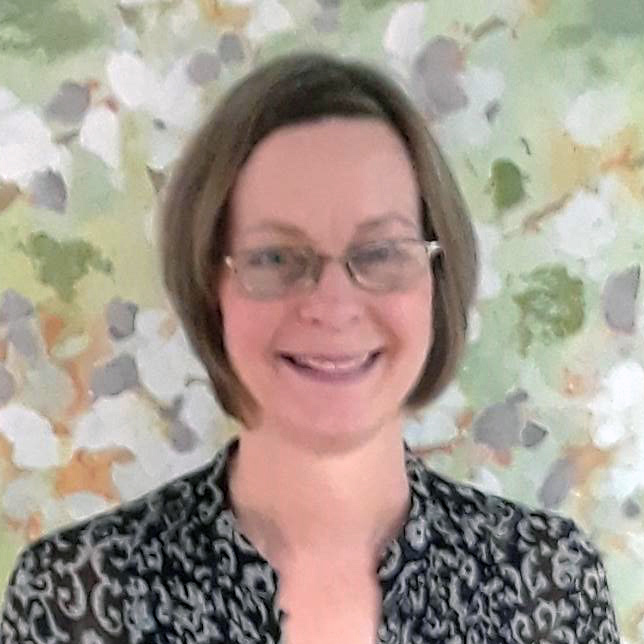 She is a licensed marriage and family therapist, board-certified behavioral analyst and licensed educational psychologist. 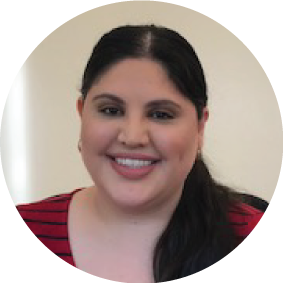 Dr. Zarbakhsh received her bachelor’s and master’s degrees in psychology from the University of Southern California and earned her doctorate from the Chicago School of Professional Psychology, where she focused on applied behavioral analysis (ABA). Dr. Zarbakhsh likes getting people excited about the things she’s excited about. Today, that’s providing lifelong and holistic care to the very special individuals and families we serve. She believes that within every child is unimaginable potential – a potential we can unlock if we listen closely and love unconditionally. Parenting is never an easy job! For parents of children with autism or other developmental disabilities, parenting can be even more challenging. These parents find their roles expanding into that of 24/7 caregivers who are not only expected to provide love and support, but also to meet relentless needs.The day to day interactions with various behavioral issues and demands can be overwhelming. Unchecked, these stresses can lead to a state of emotional, mental, and physical exhaustion commonly labeled “caregiver burnout.” Caregiver burnout can lead to a loss of interest and motivation. Some of the initial signs of burnout include irritability and venting about how there’s no time to clean the house or how impossible it is to get out and socialize with friends. Some parents have a hard time asking for help and think they always have to be present. And unfortunately, many parents are not aware of the resources available that are designed to give them a break. 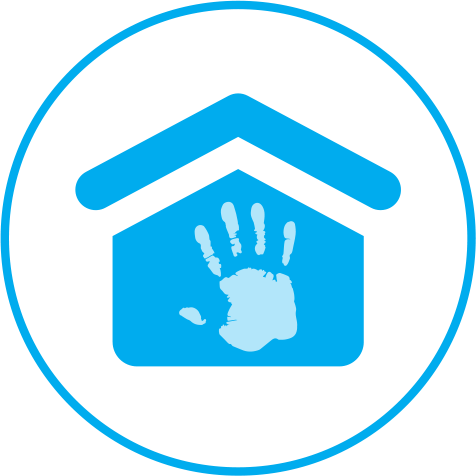 Respite is a service designed to provide care for the child of the caregiver by an individual who is knowledgeable and trained to care for the child’s needs. This service also provides parents a break from the day to day intensive care they provide their child. Respite care typically falls into two categories – traditional and specialized. Traditional respite is focused on taking care of personal needs and in-home activities such as washing, using the toilet, or having a meal. Specialized respite provides these same basic services but goes a step beyond. With specialized respite care, staff members are in the home to teach, supervise and actively engage while the parents go shopping, do errands, or just take some time away. These care teams are trained in step-by-step behavior analysis and goal-based treatments. They collaborate with the applied behavior analysis (ABA) service provider to follow the individual’s specific behavior support intervention plan, which spells out consistent responses to behavior problems. The best respite care services will rotate staff members in the home so that children grow accustomed to meeting a variety of people. This makes it easier for them to transition into outside programs for more training, and eventually help them prepare to live as independently as possible. That is the ultimate goal, especially for parents of adult children who worry about who will take care of their adult children when they are no longer around. It is a relief for them to see their children make progress. 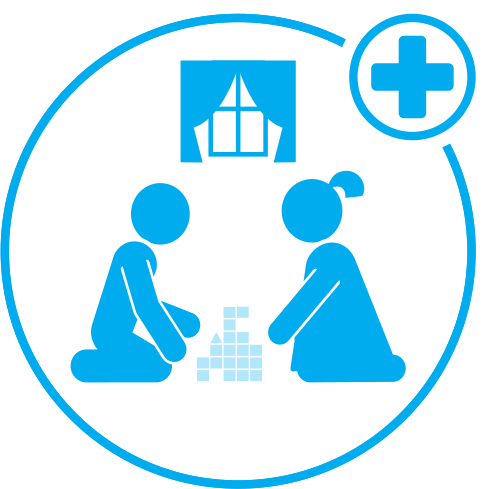 Parents are happy to see how care teams can help their children develop and thrive. Everyone needs a break sometime. And parents need not feel that they are alone. If you think you need help, contact a respite care provider to arrange a meeting to learn more about how they can offer assistance. Respite is a very valuable resource that can help prevent caregiver burnout . . . and might be just what you need. Learn more about respite care available through 360 Behavioral Health. 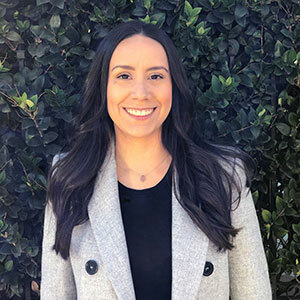 Yelba Diaz, regional manager, Behavior Respite in Action (BRIA), has a bachelor’s degree in early childhood education, and is studying for a master’s degree in education with an emphasis in applied behavior analysis, and for board certification as a behavior analyst. She became interested in this field after working with a client directly for 2 years and witnessing the behavioral changes and skill acquisition that took place – and completely took over a part of her heart. Similar to traditional respite care, specialized respite care provides parents and caregivers with temporary relief from their caretaking responsibilities so they can return to their duties rested and refreshed.